Standalone CBD shops – those selling oils or other products made solely from cannabidiol (a chemical compound found in the cannabis plant that does not contain the psychoactive elements of THC) – are not expansive in California, but they have gained footing in some cities that have otherwise banned full marijuana dispensaries. They are also proving popular options in states where the drug itself may not yet be legal, particularly in light of the recent passage of the federal Farm Bill, which included provisions that legalized hemp, from which CBD oil can be obtained. Los Angeles CBD shop attorneys understand that while these little stores are outnumbered by the full-service cannabis dispensaries in the city hundreds-to-one, these store owners say they were drawn to the business primarily for the health benefits and variety of products (salves, tinctures, creams, edibles, soft gels, tinctures and more), but also for the reduced legal risk and ease in securing insurance and funding. One in L.A., for instance, sells only hemp-made CBD oil expressly for this purpose Shops that sell only CBD aren’t required to have the pricey licensing, as is required by legal cannabis dispensaries in California. Such stores have also opened in Missouri, Texas, Kansas, Arkansas, North Carolina, Minnesota, Louisiana, Florida, Georgia, Mississippi and Ohio. What the Farm Bill, signed in December by the president, did was remove hemp from the list of controlled substances, allowing states to freely allow permanent cultivation programs, and farmers can be eligible for crop insurance and grants. There are only trace amounts of TCH in CBD, and it’s even proven effective for some people with epilepsy, cancer, chronic pain and PTSD. The U.S. is also well-known to be the No. 1 importer of hemp products globally. Costs on those items may fall. Our L.A. CBD business attorneys expect these new stores may now start growing like weeds, particularly where access to the drug may be limited to medicinal use. Meanwhile, some companies have taken to selling these CBD oil products online, particularly in states where cannabis is not legal. However, with no testing regulations in place for CBD products, though the U.S. Food and Drug Administration has issued warnings with regard to making false claims on the medicinal properties, potency and effectiveness of the product they are selling. 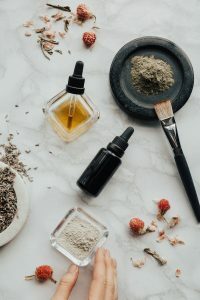 So long as the the CBD oil is hemp-derived, it is likely to be legal per the provisions of the 2014 Farm Bill and the updated version in 2018, but it’s a good idea to speak with an L.A. CBD shop attorney before launching your online venture – particularly if you plan on shipping out-of-state sales. Having worked in California’s medicinal and legal cannabis from the start, we have seen the expansion of CBD oil from high-quality medicine to essentially a social commodity. Many companies are rushing to invest their dollars in various sectors industry-wide. Knowing exactly what you are diving into – and ensuring you are following all legal guidelines and required administrative processes. You don’t want to be ensnared in a battle with local or state government officials because paperwork wasn’t properly filed before a hard opening. We can help.